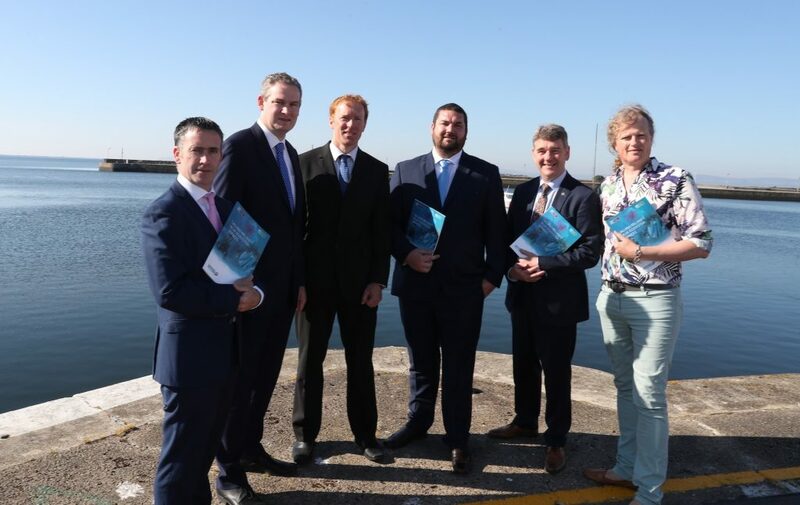 Pictured at the launch of the report are from left to right, Minister Damien English TD, Minister Sean Kyne TD, Dr Stephen Hynes ,Dr Daniel Norton, Dr Peter Heffernan of the Marine Institute and John Boyd, GMIT. 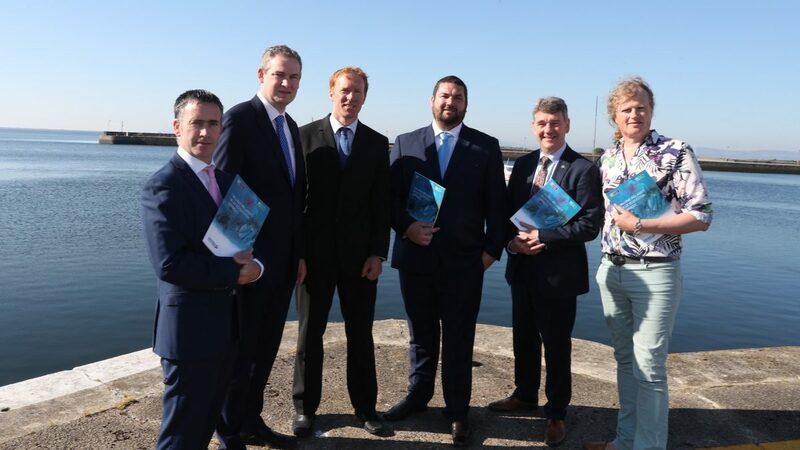 The Minister for Housing and Urban Development, Damien English TD, and Minister for Natural Resources, Community Affairs, and Digital Development Seán Kyne, this morning launched the latest report from SEMRU at the 5th Annual Ocean Wealth Conference, as part of Ireland’s national maritime festival ‘SeaFest’. Up to now SEMRU has produced bi-annual reports on the direct economic value of Ireland’s ocean economy, valued at €1.8 billion or approximately 1% of GDP in 2017. This new research however, focuses on the ecosystem service benefits that society receives from Ireland’s marine environment. Marine ecosystem services are provided by the processes, functions and structure of the marine environment that directly or indirectly contribute to societal welfare, health and economic activities. These services are vital to ensuring blue growth in the ocean economy. Factoring marine ecosystem service values into ocean economy account frameworks may help to ensure a sustainable “blue economy” for Ireland by making sure that growth in the ocean economy does not exceed the carrying capacity of the marine environment. While the value of some of these goods such as fish and aquaculture are somewhat easier to measure, the value of many other benefits such as carbon sequestration, waste assimilation and marine related recreation are often not captured by a price in any established markets. However, without incorporating these values into marine planning processes, these benefits may be ignored or underestimated leading perhaps to suboptimal decision making. The Marine Institute welcomed publication of the report on Ireland’s marine ecosystem service benefits with Dr Peter Heffernan, CEO commenting “This assessment of Ireland’s marine ecosystem services and their value is an important step in incorporating ecosystem services into policy and decision making related to Ireland’s marine and coastal zones”. · The provisioning marine ecosystem services of fisheries and aquaculture is estimated to be worth €473 million per annum to all fleets and producers operating in Irish waters. Seaweed harvesting is valued at €4 million and aquaculture €150 million. · The regulating and maintenance ecosystem services of carbon sequestration are valued at €815 million per annum, waste assimilation services €317 million and coastal defence services of €11.5 million. · The cultural ecosystem services of scientific and educational services are valued at €11.5 million, and the added value per annum to housing stock of being at the coast (aesthetic services) is valued at €68 million. On an annual basis, recreational services provided by the marine ecosystems are estimated to have an economic value of €1.7 billion. · Even though not all of the ecosystem services provided by the marine environment can be monetarized the report indicates that the value of those that can is substantial. The full report is available to download online at www.nuigalway.ie/semru/publications.html.